Since my diet consists of mostly meat and vegetables (just call me the modern day cavewoman), I am always trying to spice up these staples. 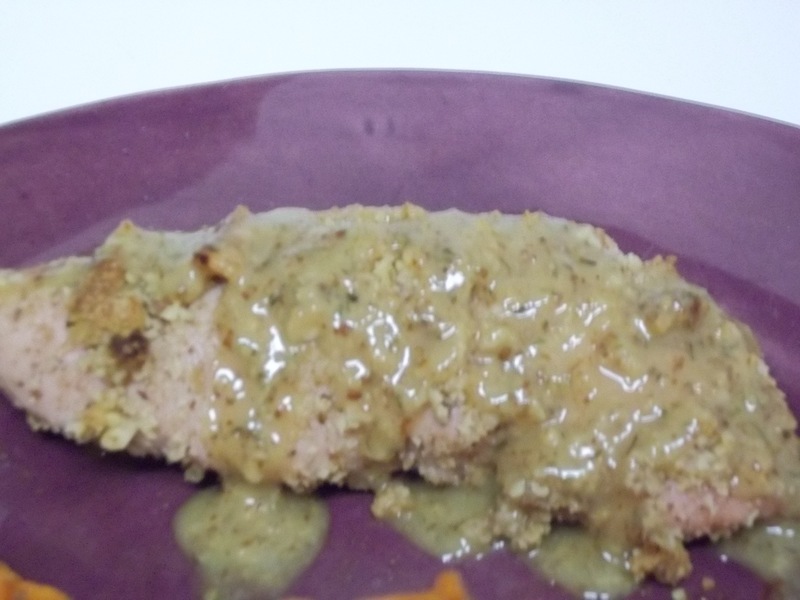 Chicken can get overused, so this week I made Walnut Crusted Turkey Cutlets with a Honey Mustard Sauce. On the side, I made Fake-Out Mashed Potatoes. They are really mashed cauliflower, but have the exact same consistency as mashed potatoes…and do not fake out on taste! Take 2-3 cupes of walnuts and put them in a food processor to crumble them. 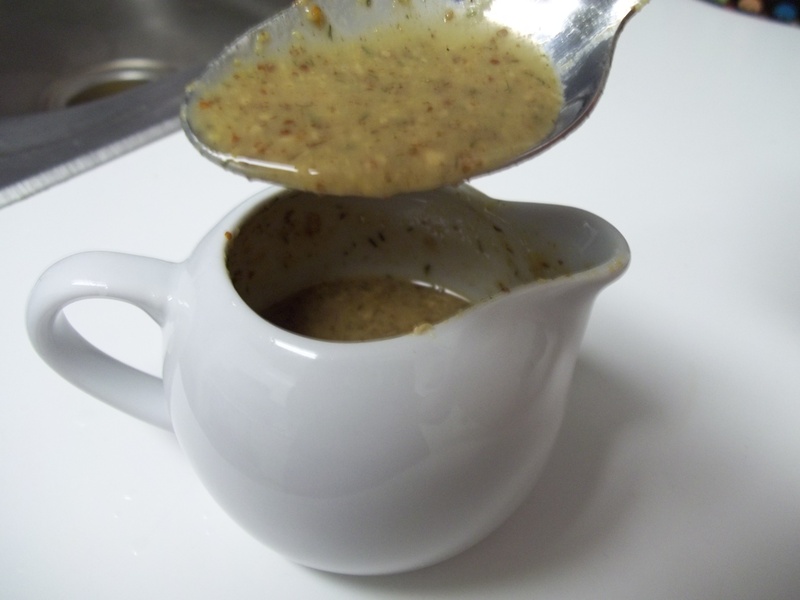 In a large shallow bowl, pour the walnut crumbs and mix with a few squeezes of honey. 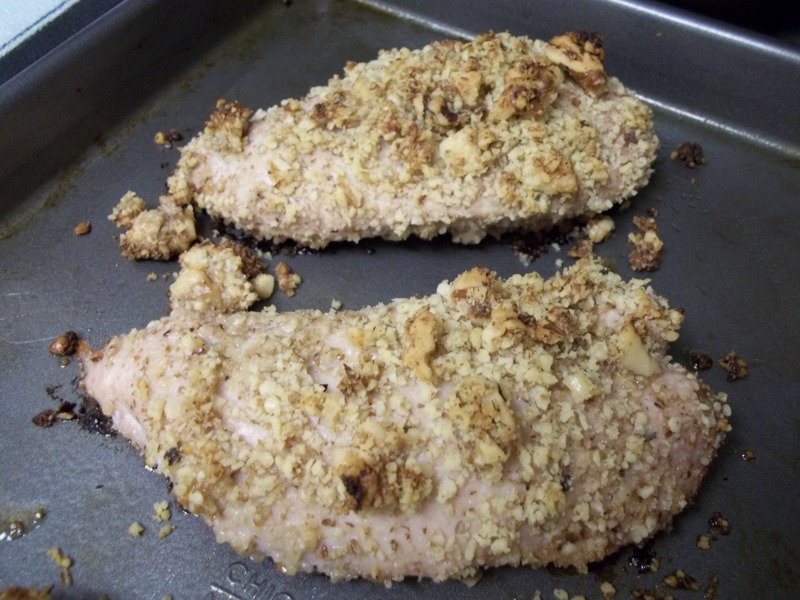 Take each turkey cutlet and roll it around the walnut/honey mixture until it is coated. Bake at 375 for 30 minutes, until turkey is done and crust has formed. Cut up an entire head of cauliflower so there are small florets. Steam them in a steamer or above boiling water. It is important to steam the cauliflower to make sure there is no excess water. 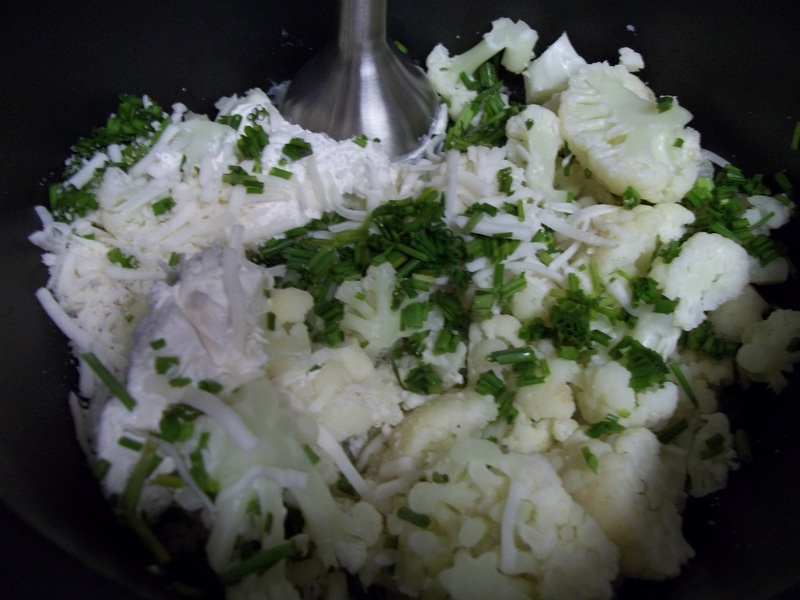 When the cauliflower florets are fork tender (about 15 minutes), place them in a large pot. Add 3-4 tbsp. 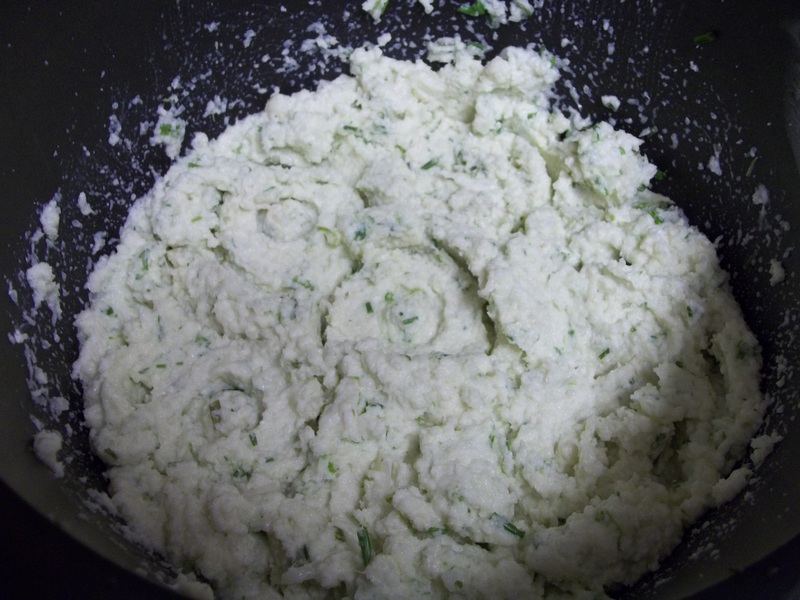 cream cheese (I use a soy brand, Tofutti), a sprinkle of cheese (I use rice mozzarella), chopped chives, salt, and pepper. Using a hand mixer (or put the entire mixture in a blender if you don’t have a hand mixer), blend the cream cheese and cauliflower until it starts to look like…. mashed potatoes! Fake outs!